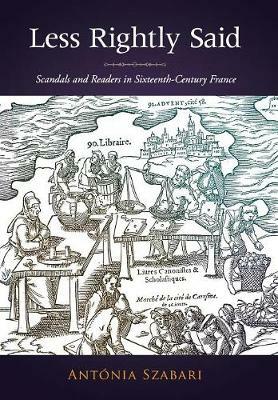 Well-known scholars and poets living in sixteenth-century France, including Erasmus, Ronsard, Calvin, and Rabelais, promoted elite satire that "corrected vices" but "spared the person"-yet this period, torn apart by religious differences, also saw the rise of a much cruder, personal satire that aimed at converting readers to its ideological, religious, and, increasingly, political ideas. By focusing on popular pamphlets along with more canonical works, Less Rightly Said shows that the satirists did not simply renounce the moral ideal of elite, humanist scholarship but rather transmitted and manipulated that scholarship according to their ideological needs. Szabari identifies the emergence of a political genre that provides us with a more thorough understanding of the culture of printing and reading, of the political function of invectives, and of the general role of dissensus in early modern French society.